Quite apart from the following provisions of the Act, Model Articles (for companies registered after 1.10.2009) and Table A (for companies registered pre-1.10.2009), a director must always act in what s/he honestly believes to be the best interests of the company. See Directors' duties. This rule applies to the directors deciding on a transaction in which one of their colleagues has an interest, as well as to the director with the interest. If in doubt, the best course is to have any transaction in which a conflict of interest arises approved by the members, full disclosure having been made. sec182(2) The declaration must be made—(a) at a meeting of the directors, or (b) by notice in writing (see section 184), or (c) by general notice (see section 185). sec182(5) This section does not require a declaration of an interest of which the director is not aware or where the director is not aware of the transaction or arrangement in question. For this purpose a director is treated as being aware of matters of which he ought reasonably to be aware. unless the arrangement has been approved by a resolution of the members of the company or is conditional on such approval being obtained. What is a 'Subtantial' non-cash asset? 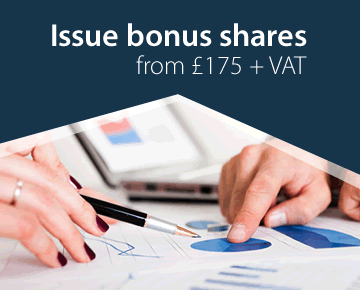 Sec191(a) exceeds 10% of the company’s asset value and is more than £5,000, or (b) exceeds £100,000. (c) rights acquired in good faith, for value and without actual notice of the contravention by a person who is not a party to the arrangement or transaction would be affected by the avoidance. (c) any other director who approved the transaction. Sec186 CA 2006 provides that the Sole Director should still make a declaration of the interest in writing. This is then deemed to form part of the next board meeting. (c) the director's conflict of interest arises from a permitted cause. (5) For the purposes of this article, references to proposed decisions and decision-making processes include any directors' meeting or part of a directors' meeting. (b) an interest in which a director has no knowledge and of which it is unreasonable to expect him to have knowledge shall not be treated as an interest of his.